Drug abuse is a national epidemic. It's the sad truth that many children are exposed to drugs at a young age therefore, it's important to equip our children with knowledge to help them make wise decisions concerning the use of drugs. If we want them to say, "NO", we have to teach them why to say "NO". Using magic, comedy, audience participation and music. This program aims to give them all of the information that they need to say "NO" in a way they will remember and understand. When I first started presenting anti-drug programs I thought most children started using drugs because their friends asked them to. It's one of the reasons but not realy the main one, this shocked me. The scariest one on the list for me is - "To Feel Good". Unfortunately drugs can initally make our children "feel good". We know that it's just temporary but it does work for a short time. So, it's our job as educators to prove to the students that the temporary good feeling drugs may give them could cost them dearly in the end. Did you know that a popular activity among 8- and 9-year-old children in the U.S. is to paint their fingernails with White-Out and then sniff them during class? Yes, it’s true; they can actually get a bit of a rush from sniffing White-Out. Or deodorant. Or hair spray, nail polish, rubber cement (they roll it into balls and stick it up their nose), lighter fluid, the propellant in cans of whip cream. There are more than 1,000 household and industrial products that are being misused by children and adolescents, and they are the drug of choice in elementary school. Federal surveys have found that by the time a student reaches eighth grade, one in five will have used inhalants. "A Drug Free Me" is designed to tell them the truth about drugs and what they can do to the body and mind. I use magic, Story Telling and music to gain their attention. I present this information in this manner to make it memorable. 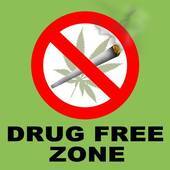 It's my goal to be a powerful tool in the fight against drug abuse. I hope you will allow me to present this program for your students this year. *** Teacher's Guide provided for discussion in class.